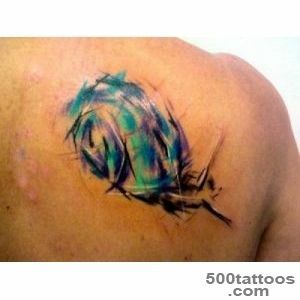 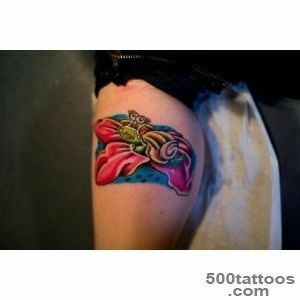 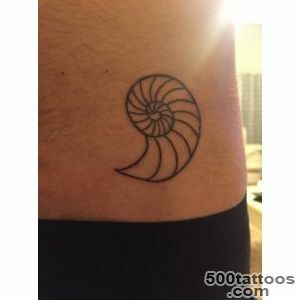 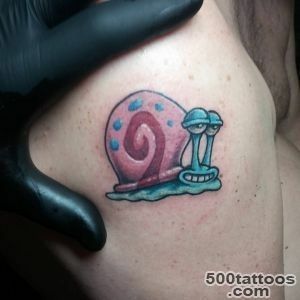 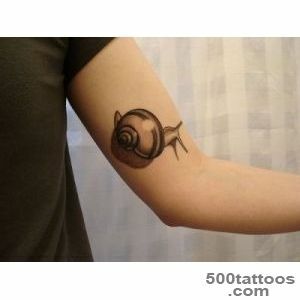 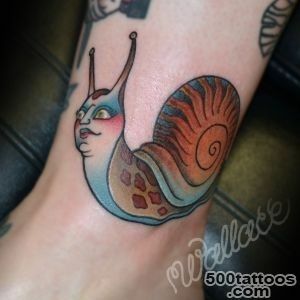 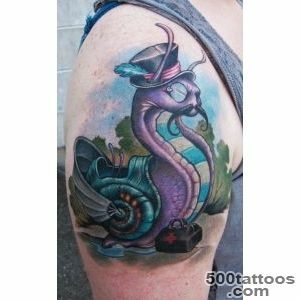 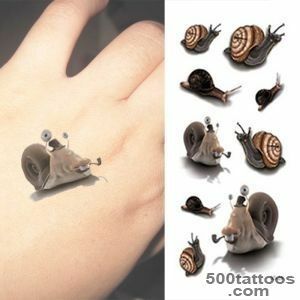 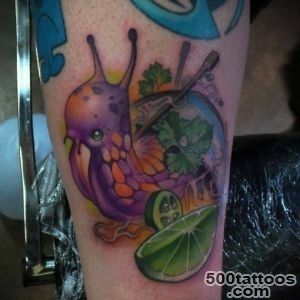 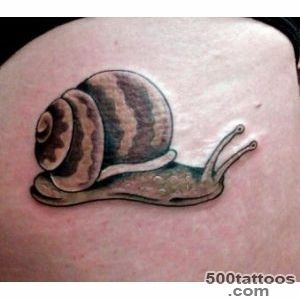 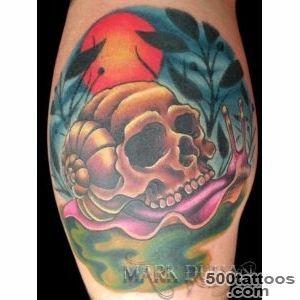 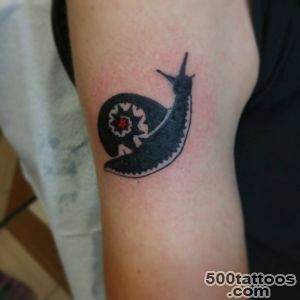 Neutral, but quite rare tattoo that can be quite amusing. 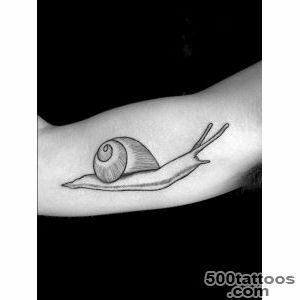 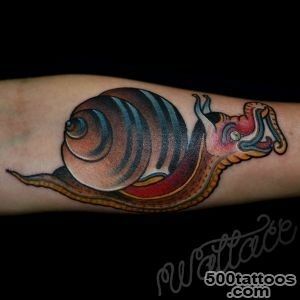 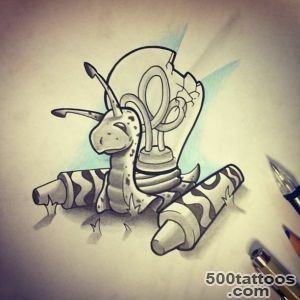 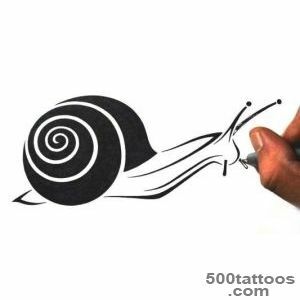 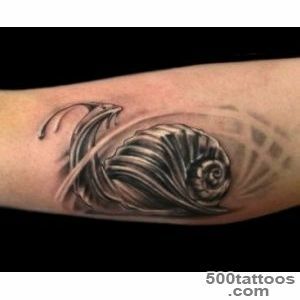 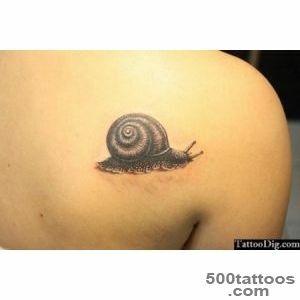 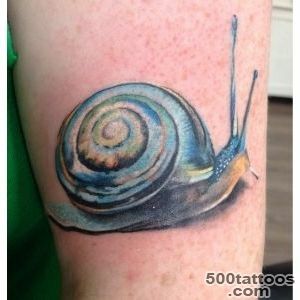 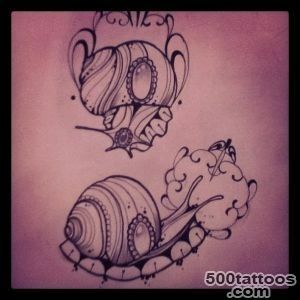 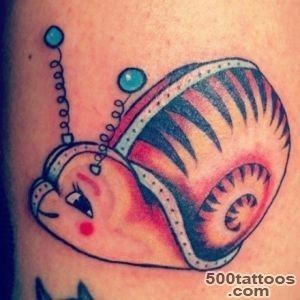 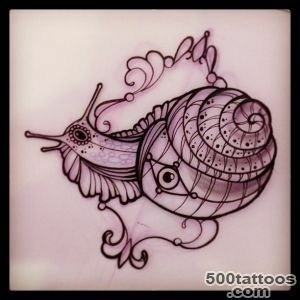 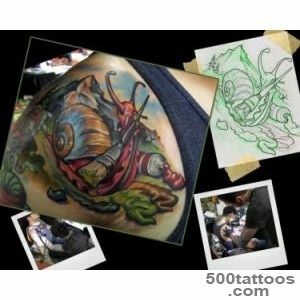 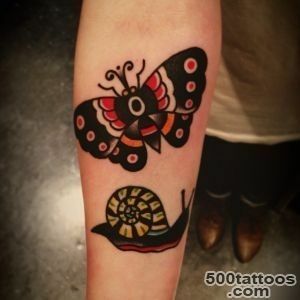 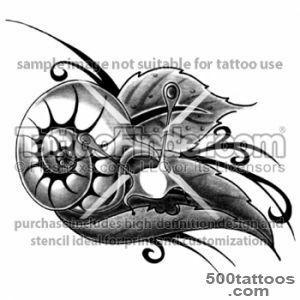 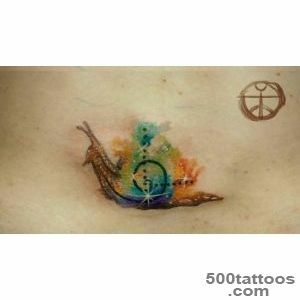 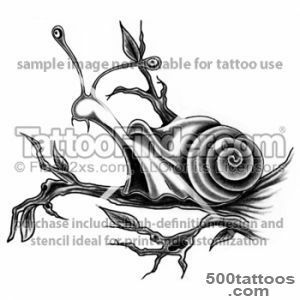 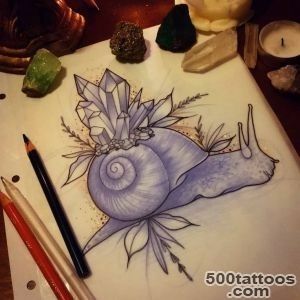 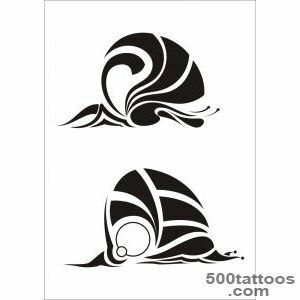 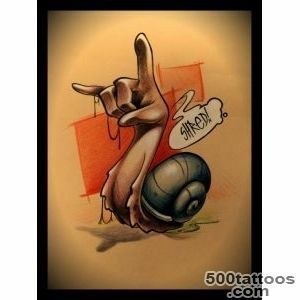 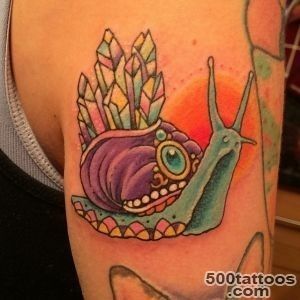 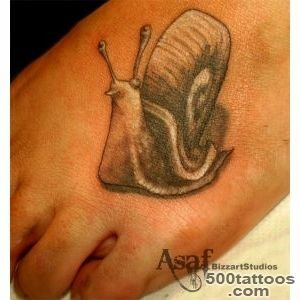 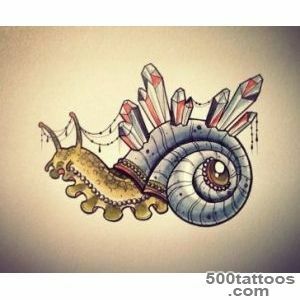 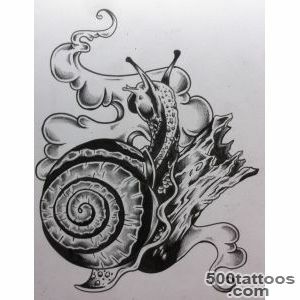 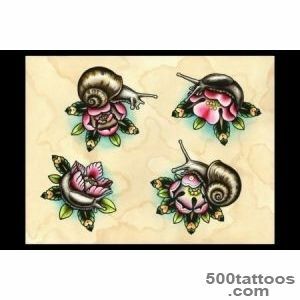 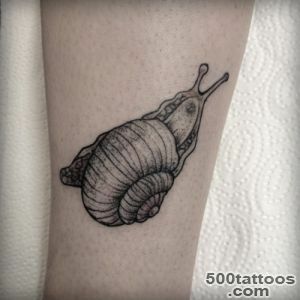 Snails symbolize perseverance and persistence in achieving goals, she said that, in spite of any obstacles, people strive to achieve the desired, and slowly but surely he will move to his goal. 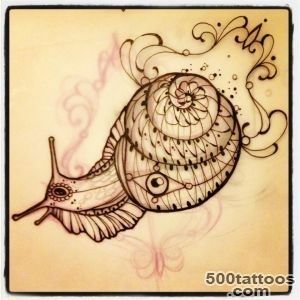 Because of,Snail that is always and everywhere with her house, she can refer to the people who always feel good, who love to change their place of residence and moving themselves gives them pleasure. 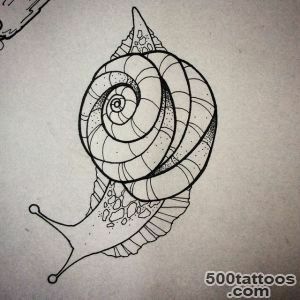 Snail shell spiral structure can talk about life cycles and denoted as a whole,and the perpetual motion of horns - a good perception of life on the level of feelings.